Burlington High School Principal's Blog: Another Blog For BHS - Way To Go Mr Chiocca! Another Blog For BHS - Way To Go Mr Chiocca! 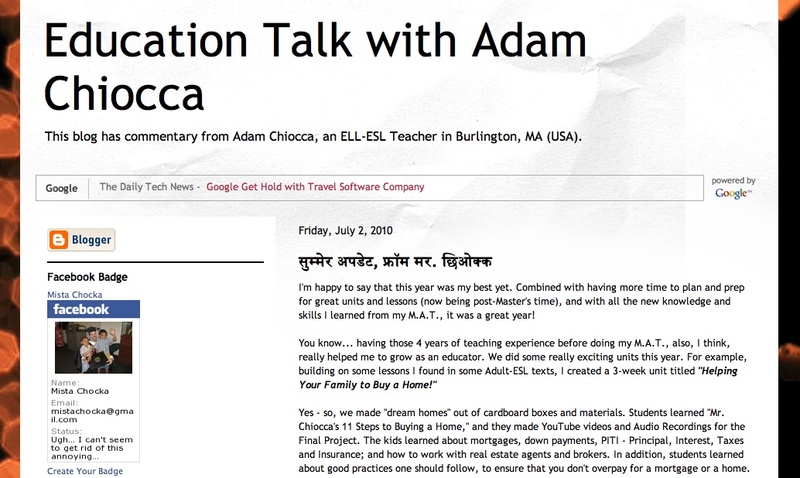 Congratulations to Adam Chiocca on the creation of his new blog Education Talk with Adam Chiocca! 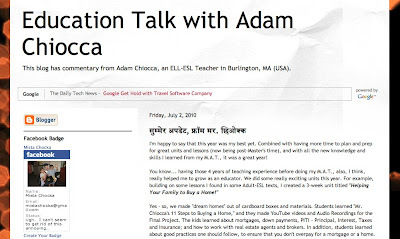 I encourage you to add Adam's blog to your list of blogs that you follow. Adam, this is absolutely phenomenal. You're such a great inspiration to your students and to your colleagues. I loved it!!! A++++ job. I did check out the houses in the hallway while I was on my walk. Terrific work by all!!! !